In multimedia, _________ is the combination of real scene viewed by the user and virtual scene generated by the computer. Which of the following is/are the hardware interfaces to connect devices to the computer? Its D because Thunderbolt,Firewire and USB can connect other devices with the computer. Posting offensive messages online is called __________. POSTING OFFENSIVE MESSAGES ONLINE IS CALLED FLAMING. Which of the following editions of Windows 7 is available as a Volume License only? Out of the options, only the Windows 7 Enterprise was available as a Volume License only. Hence, the correct option is C.
Which of the following operations is NOT performed on figure 1 to transform it into figure 2 in MS-Paint of Windows 7? 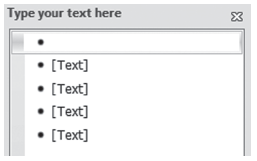 The given snapshot appears when you insert __________ in MS-PowerPoint 2010. Which of the following numbers has a remainder of 1 when it is divided by 7? Aditya has 5 brothers and 3 sisters. How many more sons than daughters does Aditya's father have? The numbers below form a number pattern. What is the missing number in the box?